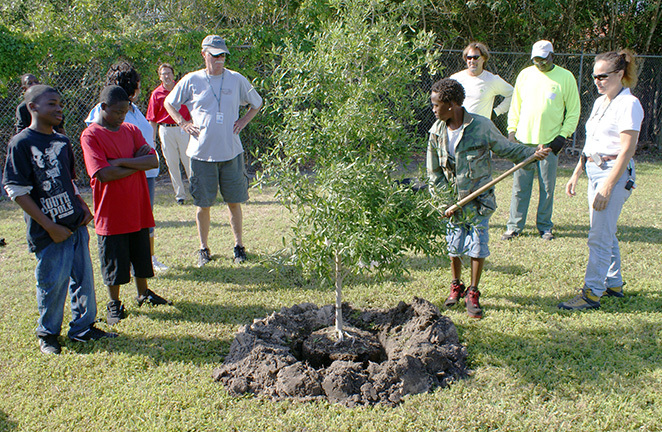 On April 23, 2009, the “Green Team” of Biological Tree Services donated their time by planting a live oak tree in honor of National Arbor Day. The tree was planted using sustainable products, and the students in attendance also received a pine sapling, sustainable planting materials, and a trowel to plant their tree at home. The oak tree and mulch were donated by Albritton’s Nursery of Sarasota.